First of all, early in the 19th century was marked by the industrial boom followed by many inventions. While customers purchased, different inventions, as novelties, needed to be properly advertised and the most distinguishing attribute of the 1800’s advertising signs was the unusually detailed design and decorative typography. 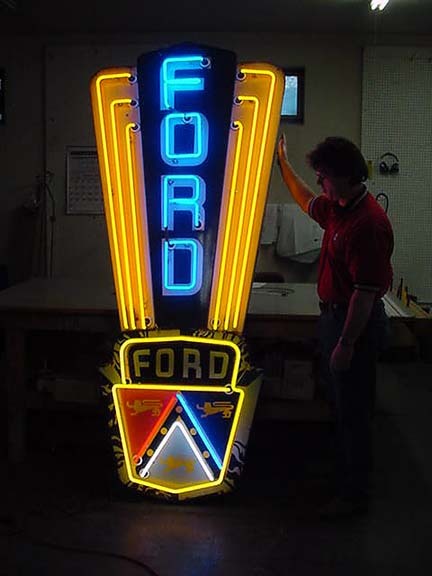 While these signs were usually handmade and of differently shaped metals, wood, ceramics, and porcelain, with the invention of lithography comes the era of advertisement we are very familiar with today – posters, billboards, and printed advertising signs. Also carved wood and metal advertising signs now could be replaced with a paper and a strong and descriptive advertising message.